The Fringe Factory Radio Show Dance Party! Show Manfred some love! 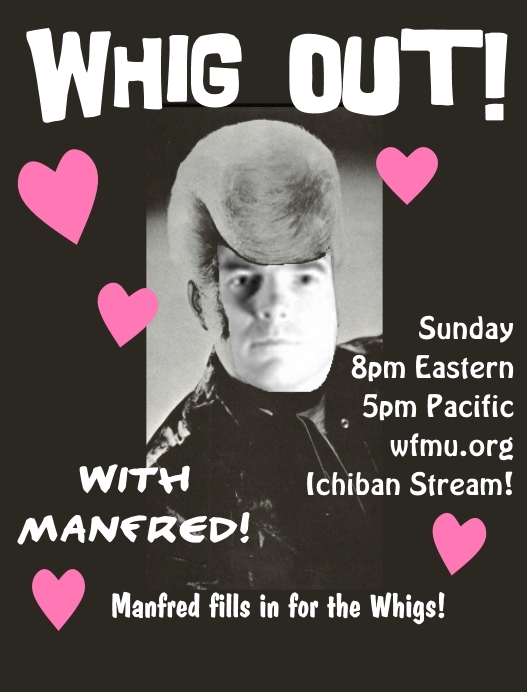 Tune in 8pm Sunday! Psych Out! with Crayons to Perfume! Gene Clark Sings For You on What's Happening?!?! Flip your Whig, and simultaneously powder the floor so you can Whig Out! 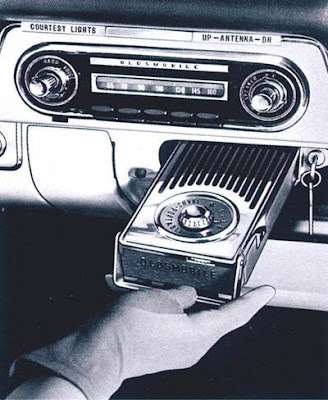 to some groovy groups of the Commonwealth, new music including San Diego's very own super mod Bassics, the latest Missing Souls, brand new Sellwoods and much more! We're on at 8 (5 Pacific) but be sure to tune your dial starting at 7 (4 Pacific! 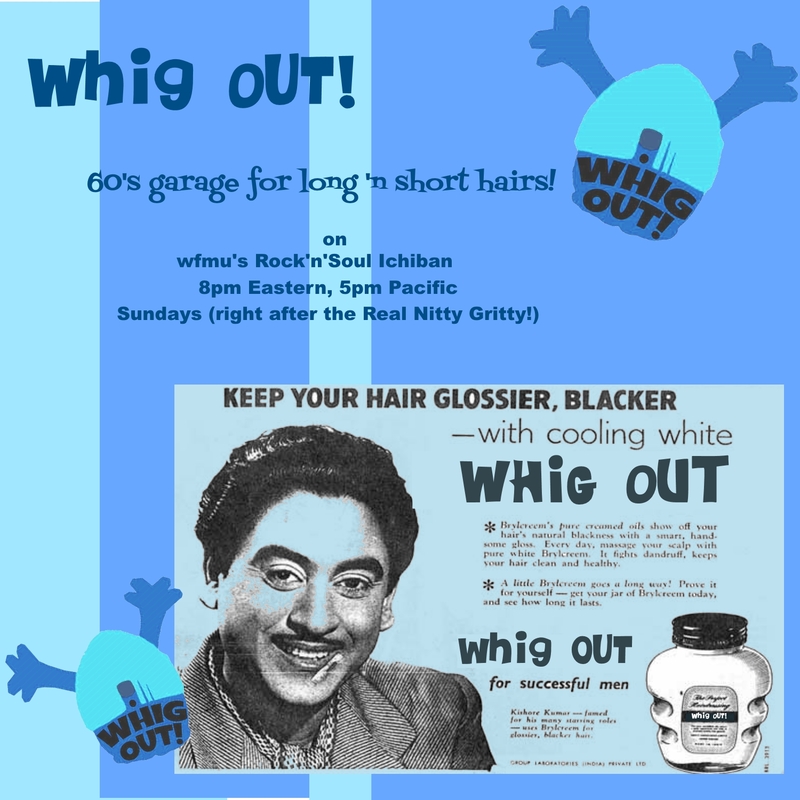 ), as Laurent fills in for the Real Nitty Gritty with his Big Beat Generation! or download the app for your phone and take us anywhere! some records I found while shopping at home. Playlist for last 7 days of the Ichiban stream! 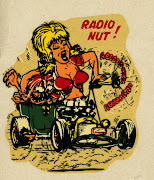 Download a free phone app to listen to Rock 'n' Soul anytime! 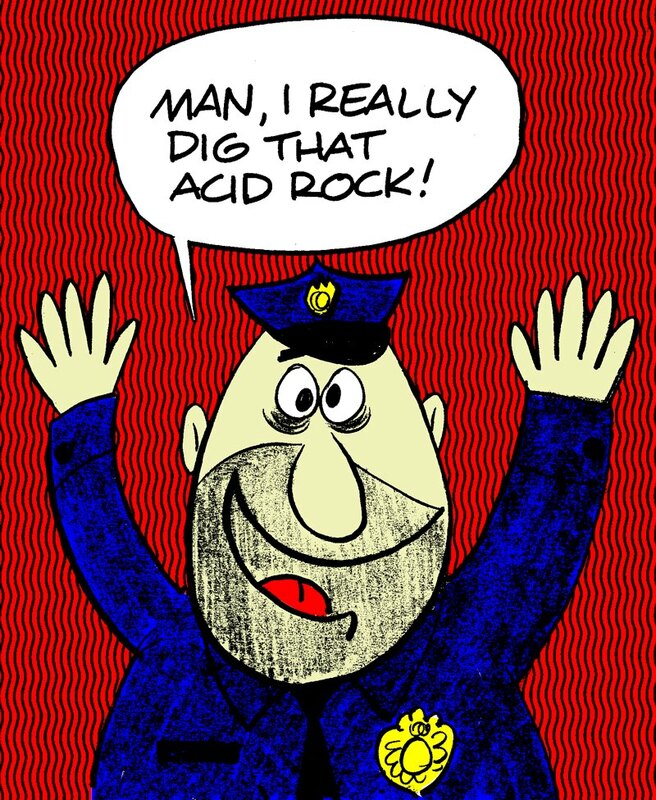 Introducing DJ Gregg Foreman & The Pharmacy Radio with guest Question Mark & more! Tonight on WFMU Ichiban The Fringe Factory is closed for vacation but the Pharmacy is open! While Vikki takes care of some top secret biz; our special guest, Musician & DJ Gregg Foreman aka Mr Pharmacist (of Cat Power, Delta 72, Stooges, Pink Mountaintops & others) takes over with The Pharmacy Radio featuring his current fave soul, garage and RnB 45s, a special interview with Question Mark & more; broadcasting from Los Angeles. 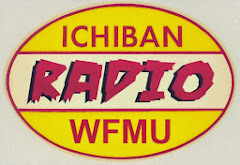 Tune in and give Gregg a big welcome to Rock'n'Soul Ichiban! 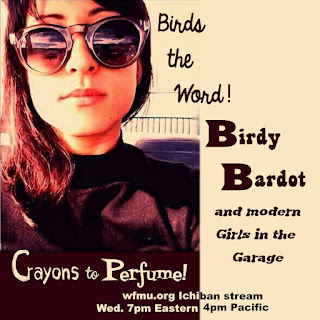 Birds the Word: Birdy Bardot and modern Girls in the Garage at 7! 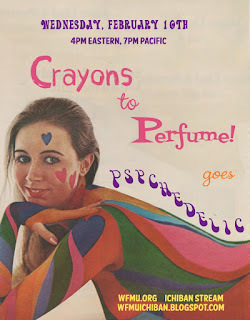 On Crayons to Perfume! the Birds the Word ... Birdy Bardot that is! Tonight she's Crayons special guest with her group The Rosalyns and also her solo work ... along with loads of modern Girls in the Garage! 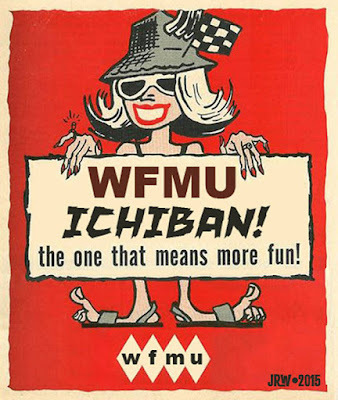 Tune in at 7 tonight, for an evening of garage rock radio we're always on wfmu.org Ichiban Stream! 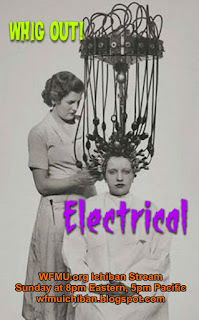 It's an ELECTRIFYING Whig Out! 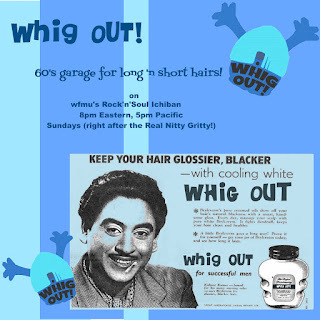 8pm right after The Real Nitty Gritty! 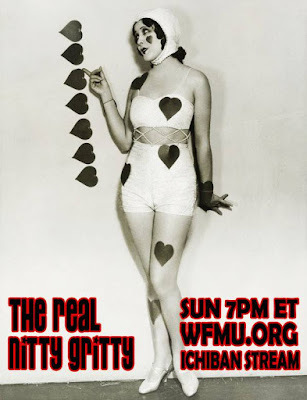 Debbie Does WFMU tonight! 7-8 PM. Only on Ichiban. 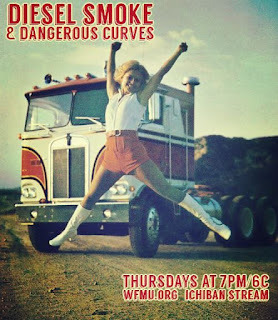 Diesel Smoke & Dangerous Curves tonight on WFMU Ichiban! 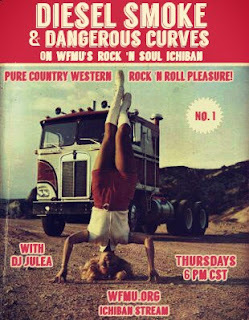 Old, twangy, scratchy country western Ameripolitan records tonight on Ichiban with DJ Julea! 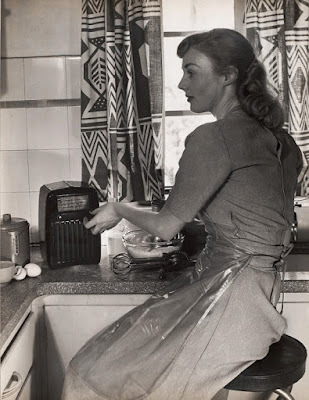 The Fringe Factory Radio Show hosted by Vikki Vaden; got it's start on Atlanta's AM1690 WMLB in 2007 and now airs weekly Wednesdays at 8PM ET on WFMU's Rock-N-Soul Ichiban! 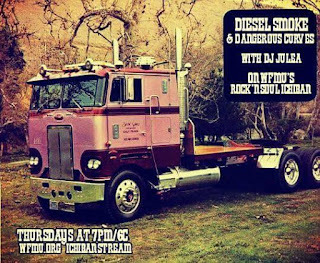 Expect a mix of international modern and classic garage, psychedelic, soul, brit invasion, RnB, freakbeat & new releases along with occasional celebrity guest DJs. 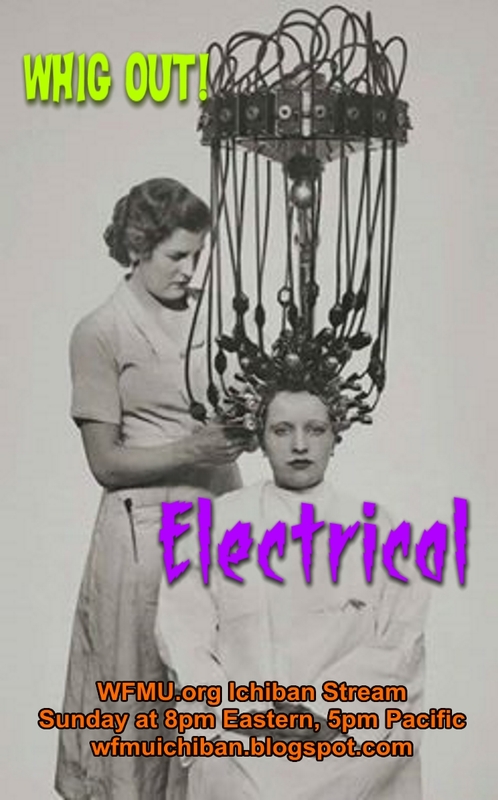 All shows are archived on the Fringe Factory archive page for on demand listening anytime! 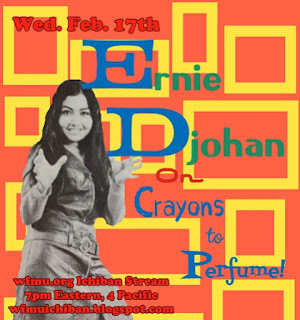 It's a repeat of our 2nd Crayons to Perfume! tonight featuring Ernie Djohan, breathy girls, twisty girls and of course girls girls girls! 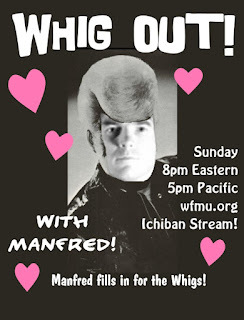 Right after the Real Nitty Gritty (Sunday at 7 Eastern, 4 Pacific) the Mighty Manfred fills in for the Whig Out! Tune in and show him some love!! 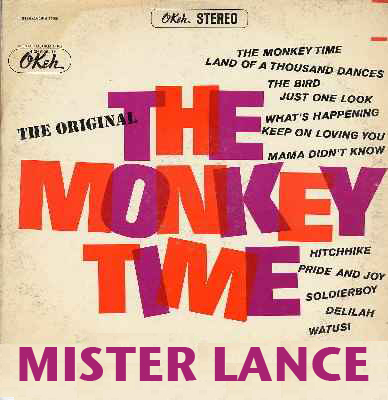 Tonight we welcome the Year Of The Monkey with special guest DJ, Mister Lance from Asheville FM's now defunct Monkey Time. 7-8 PM ET. 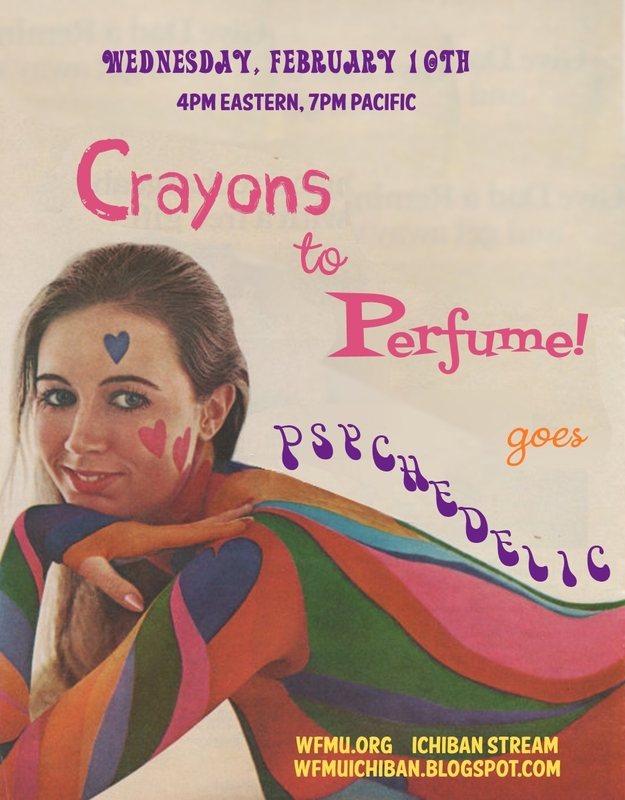 The girls go way out wild, as they psych out for an hour of Psychedelic Chicks on Crayons to Perfume! There are flower power felines & heavy honeys... hear Eartha Kitt channel Donovan and Michele O'Malley take orbit! It's all happening at 7pm Eastern, 4pm Pacific! Tune in, see the playlist and make comments here! Use Tune In Radio to tune in here! 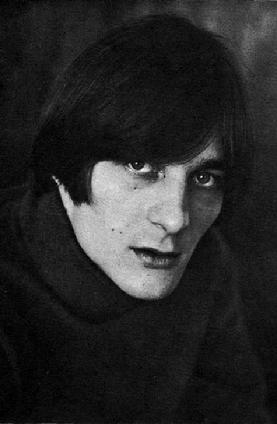 Spotlight on Gene Clark on this week's What's Happening?!? Featuring his compositions with The Byrds, Dillard & Clark, The Rose Garden, The Turtles and more! 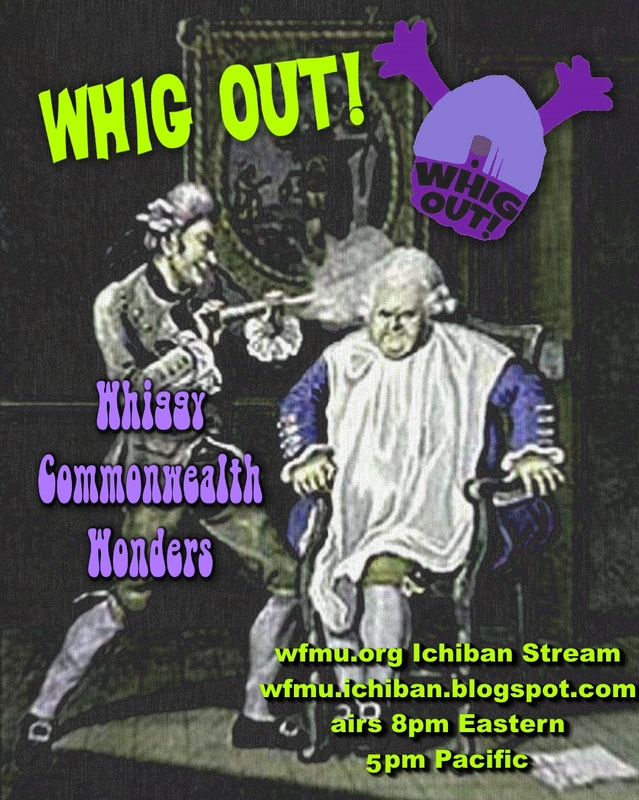 This week's Whig Out! features a brand new track from Brooklyn's The Above, featuring Ichiban's own Matt M of What's Happening! plus plenty of Whiggy Wonders to keep you glossy! Sam & Dave, Louis Jordan, Kinks, Michael Hurtt's Haunted Hearts, + more!!! Ameripolitan Extravaganza tonight on Diesel Smoke & Dangerous Curves! Tonight the Fringe Factory Gets Down and Back Up at 8pm ET! This episode of The Fringe Factory Radio Show features old sounds by The Harbinger Complex, Jefferson Airplane, The Animals, The Pretty Things, The Moving Sidewalks along with new sounds by Fogbound, The Loons, Fifty Foot Combo and more! Stream the show, view playlist and comment at http://wfmu.org/playlists/shows/64928 starting at 8pm ET! 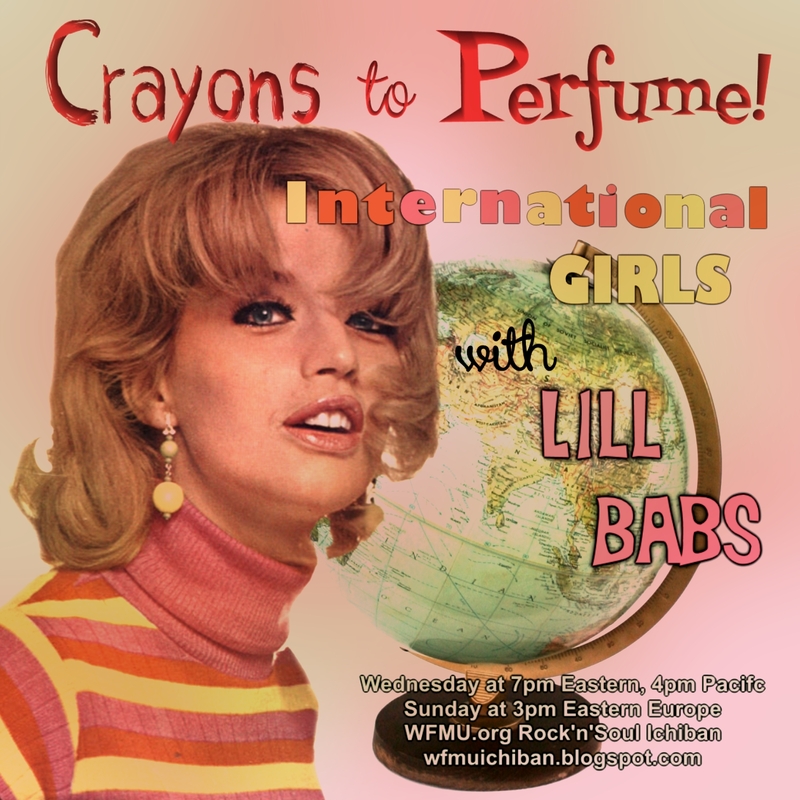 International Girls with Lill Babs on Crayons to Perfume! Tonight!